Foam center Biodegradable A0 Foamboard with 15% recycled content, is formaulated with Bio resins. Th..
White Foamboard 5mm A0 pack of 10 sheets. Our foam board has a lightweight polystyrene core ba..
White Foamboard 10mm A0 5 sheets per pack. 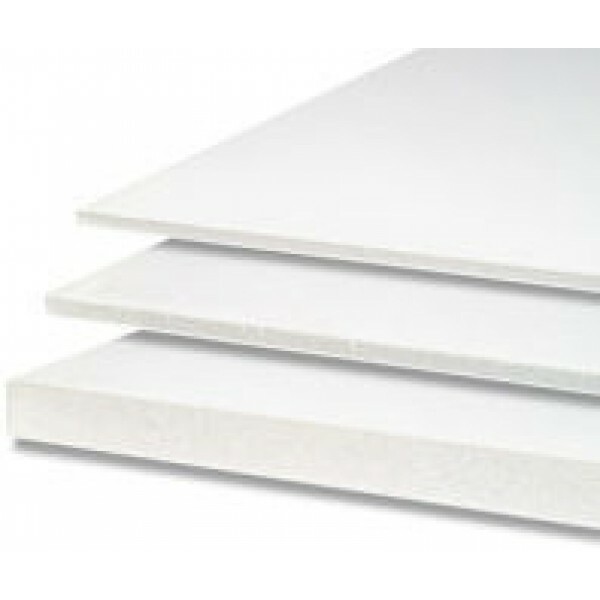 Our foam board has a lightweight polystyrene core backed .. Foam center Biodegradable A0 Foamboard with 15% recycled content, is formaulated with Bio resins. These bio resins cause the discarded foamboard to degrade in landfillls once the foam is exposed to a bacteria rich enviroment. Only an enviromentally safe biomass compost remains after decomposition. Our exclusive plostyrene center requires one to five years for 100% breakdown, whereas convetional foamboards will not biodegrade for 80 to 450 years.